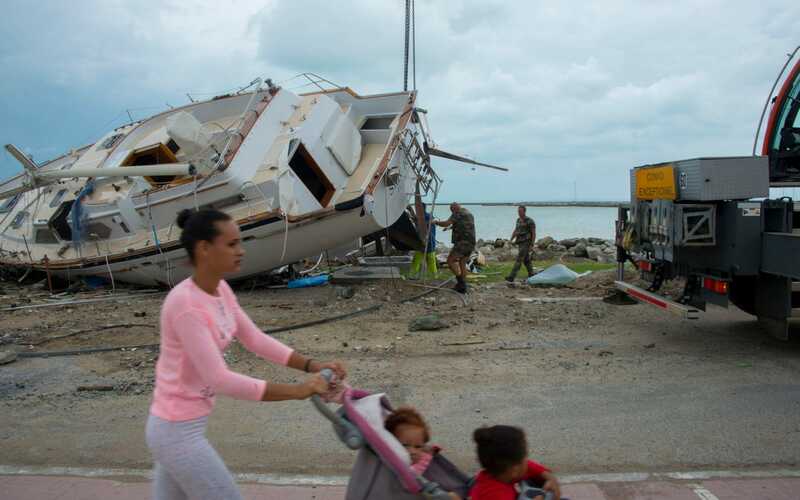 Lloyd's of London insurer Hiscox has started bumping up insurance premiums - by as much as 50pc in certain lines - because of the losses incurred by hurricanes that devastated parts of the US and the Caribbean over the summer. Insurers are counting the costs linked to hurricanes Harvey, Irma and Maria as well as the earthquakes in Mexico, with many responding by increasing premiums for the areas most affected. "The recent catastrophes are estimated to have cost the industry $100bn and follow a decade of rate reductions," Hiscox said. "Therefore, it is not surprising that we are seeing signs of a hardening market." The price of insuring property in the areas worst hit by the hurricanes, or which could be exposed to future weather events, is rising between 10pc and 50pc "and sometimes more", the group added. Meanwhile its reinsurance arm, Hiscox Re, is expected to increase rates by 30pc "in loss-affected areas" following the severe hurricanes. The October wildfires in California are also putting "upward pressure on US renewal rates". The figures emerge days after the boss of Hiscox rival Beazley told The Telegraph that, if natural disasters continue at the same rate, "people with properties and businesses in these areas will have to pay more for their insurance". "Insurance is very much a statistics game – what is the chance of your house being burnt down or being hit by a hurricane?" said Andrew Horton, Beazley's chief executive. "If it happens more and more, prices will unfortunately go up to reflect that. I don’t think the insurance industry should shy away from it, because if [they don't] pay for it governments have to step in." Hiscox seems to be weathering the events better than some of its rivals, with its shares ticking up on Tuesday after it said net claims for Hurricanes Harvey, Irma and Hurricane Maria would be $225m versus a previous estimate of $225m for Harvey and Irma alone. Gross written premiums for the year to September also rose 12.4pc to ?2.09bn. Bronek Masojada, the chief executive of Hiscox, said: "2017 is turning out to be an historic year for catastrophes and Hiscox’s first priority is to help our customers get back on their feet." This has been one of the worst years on record for natural disasters, with Lancashire Holdings last week posting a pre-tax loss of $136.4m (?104m) for the three months to September 30, the same day the world's second largest reinsurer Swiss Re reported a loss of $468m for the first nine months of the year.